In our ongoing battle against sin in our life as believers, we need all the help we can get. 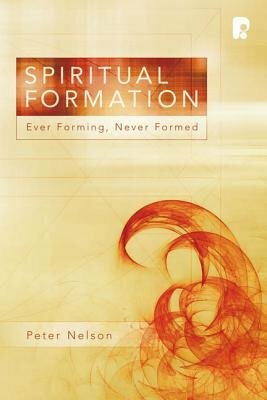 Spiritual Formation: Ever Forming, Never Formed is a breath of fresh air in this fight, setting out biblical foundations and offering practical advice. Spiritual Formation both humbles triumphalistic Christians and gives much needed hope to defeated Christians. We can deceive ourselves that sin is a problem only for unbelievers, and yet reality clearly points to the looming presence of indwelling sin in the lives of Christians and its deadly impact on the church. By not fully admitting and openly addressing chronic sin problems, believers can do harm to all through this hypocrisy. Spiritual Formation is a scalpel to cut away tumors of ignorance, avoidance and pride, creating honest believers who then will be an authentic witness to a hurting world.